Realness is one of the most malleable and fetishized concepts in 21st century popular music. 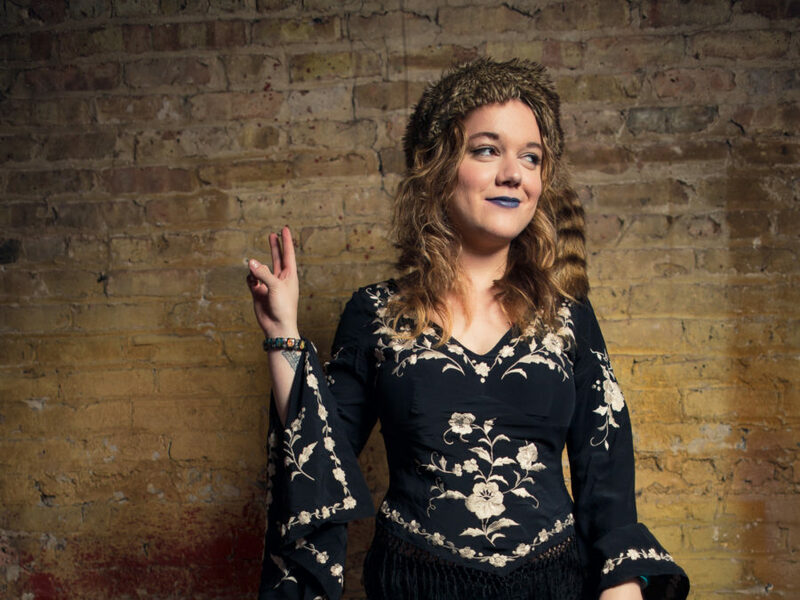 And nothing’s revered as realer in the country-punk scene that Lydia Loveless emerged from than the contrarian rawness listeners found in her first two albums, The Only Man and Indestructable Machine. She’s been justly celebrated for the unfiltered, eruptive quality of her expression — and much more unsettlingly depicted as some sort of hot young roughneck, a perception she’s poked at with weary bemusement in interviews. But the expectation that Loveless’s performances and persona will continually flaunt her freedom can become its own sort of repression. On 2014’s Somewhere Else, the 25-year-old singer and songwriter hinted at an inclination toward pop sensibilities, pointing to Robyn as a source of inspiration. This time around, Loveless worked up the gumption to embrace a broader, more burnished palette without sacrificing the authority of her artistic voice. There’s a newfound refinement in many of the melodies and arrangements on her fourth album, Real. A satiny vocal chorus lifts a pivotal moment of “Longer.” Watery electronic effects and a softly pulsating beat form a delicate cocoon around “Out On Love.” “Heaven” is the closest Loveless and her band have come to a danceable New Wave feel; against the pointilistic guitar figure and insistently springy bass line, her cursive, well-crafted hook creates sly rhythmic tension. That doesn’t mean you’ll find her staking out safer emotional terrain on this album. Hardly. In songs like “Out On Love,” “Clumps” and “More Than Ever,” she captures the excruciating lag between climactic moments, the deflation following the realization that devotion is unmatched and a relational bond unsound. Her delivery of “More Than Ever” is especially potent. “Darling, don’t you want to come and take a walk?” she mumbles numbly, attacking the next line with a rueful half-chuckle: “But if self-control is what you want, I’d have to break all of my fingers off.” She enunciates those last words bitterly, before launching into the refrain, “It’s harder to take every day.” Each repetition gains in desperation. In “Longer,” she describes an inner turmoil maddeningly out of step with the bland mundanity of daily routines. What’s worse, she knows it can’t be hurried along. “I need to get a clue,” she admits, “but give me just a little bit longer to get over you.” The album closes with the jangle-pop title track, a confrontation of false sincerity that packs ample punch. “I know just how it feels when you make it seem real,” she sings, sounding at once sullen, needling and energized. This is a side of Loveless we haven’t heard. By finessing her musical ideas and illustrating how she processes prickly emotions, she’s created a rich alternate reality.